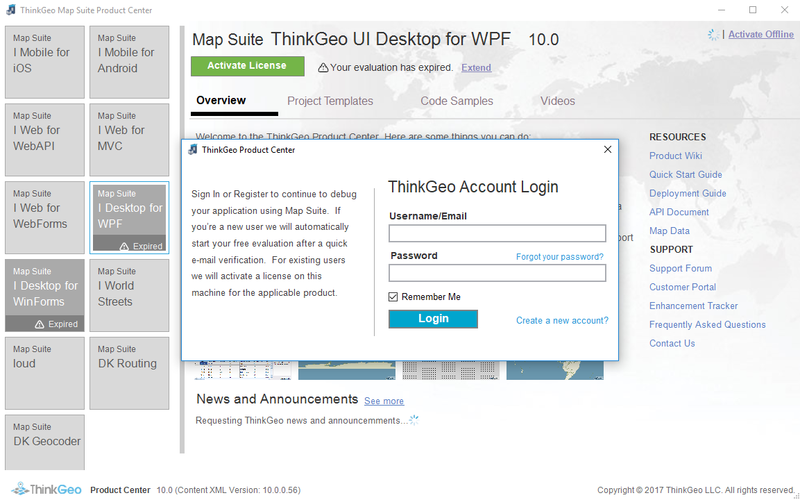 I use Mapsuite 10 for WPF and Winforms. I develop an application for vehicle tracking. I want to run the app on another PC. I have created a .mapsuitelicense file, but I don ot know how to use it. I want to transfer my .exe and some dlls to another PC and run my app. How can I do it? You should want to put the license file at the same folder of your exe file, then copy them at the same time. Thanks, I created this file and my app works on other PCs too. Is there a possibility to affect the performance. My PC runs very good, but on other PCs (the same specs) has bad performance. Any idea what may be wrong? I think we need more information to think what's the reason of the bad performance. Please make sure it's the render slow but not the internet speed is slow if you choose some special layer for example google layer, bing layer or wms layer. A sample which can reproduce the bad performance is very helpful. Ok, the applications performance does not seem to be affected by the licence key. The current problem is that other developers in the company can not run the project in debug mode. We have added the appropriate licence file on each pcs debug folder so that the projects executable should run with the maps inactive. What are the exact steps we have to take so that our non-licenced members are able to continue the projects development without the use of maps? You should want to build a license file for your execute file, and put the license at the same folder of exe. Then the other developer who don't have license can also debug the project which contains the map control, but the map control won't show anything. Please make sure the project name and exe file name hadn't been changed after your license file get generated.